Control and optimization of the quality of the indoor environment are necessary to ensure indoor comfort and reduce building energy consumption. Indoor environmental quality that contains a variety of uncertainties and nonlinear factors is difficult to be described by the traditional linear system. In this paper, by defining the linear relationship between physical parameters and control parameters of the indoor environmental quality, the control, and energy consumption optimization modeling is established according to the data measured based on a bilinear model. On this basis, this study proposes a model predictive control system coupled with an intelligent optimizer for indoor environmental quality control. Ant colony optimization (ACO) is utilized to optimize the building energy management. 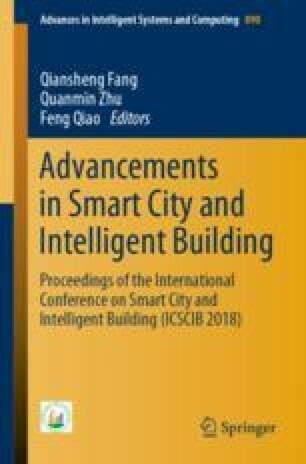 Experimental results show that the proposed intelligent control system successfully manages indoor environmental quality and energy conservation. This work is supported by the National Key Research and Development Project of China No. 2017YFC0704100 (entitled New Generation Intelligent Building Platform Techniques) and the National Natural Science Foundation of China (Grant No. 51508445).